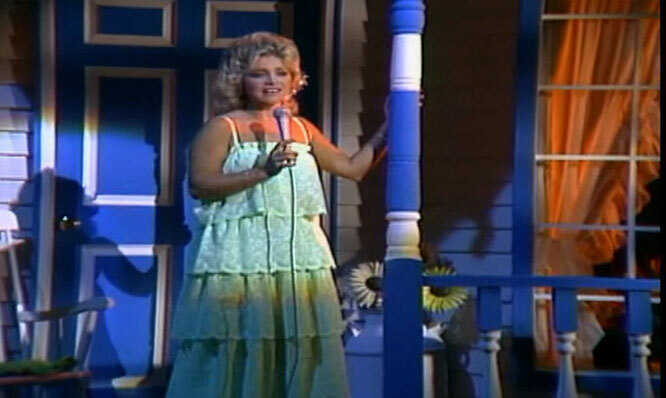 Barbara Mandrell performs "Sleeping Single In A Double Bed" Live on Hee Haw. "Sleeping Single In a Double Bed" is a song written by Kye Fleming and Dennis Morgan, and recorded by American country music artist Barbara Mandrell. It was released in August 1978 as the first single from her album Moods. "Sleeping Single In a Double Bed" was Barbara Mandrell's twenty-sixth chart hit on Billboard magazine's Hot Country Singles, the first of her six #1 singles on that chart. The single stayed at the top for three weeks (November 1978) and spent a total of eleven weeks in the top 40. In early 1980, the song won an American Music Award for Favorite Country Single.